I'm going to go out on a limb on this tree ID article, because I'll admit that I'm not 100% sure I have this tree identified correctly. I first talked about it in this article about a recent scouting trip. I'm also going to go out on a limb and guess that only other tree nerds like me will give two hoots about any of this. First off, I have never seen another tree like this one. 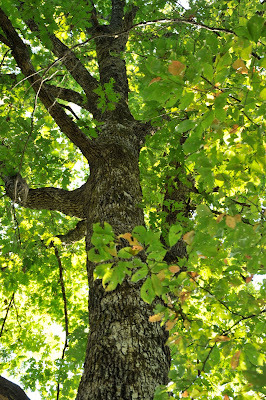 I believe it is a Quercus Saulii or Saul Oak which is a hybrid of a Chestnut Oak and a White Oak. The leaves, acorns, and bark are consistent with the descriptions, dimensions, and illustrations given in this obscure scientific article which is the only information source I've been able to find. I'm posting this in hopes that through the magic of Google, someone with more expertise than I will find this and help me confirm my identification. Please leave a comment below if you have any knowledge that you would be willing to share. This particular tree is the only one of it's kind that I could find in the immediate area. 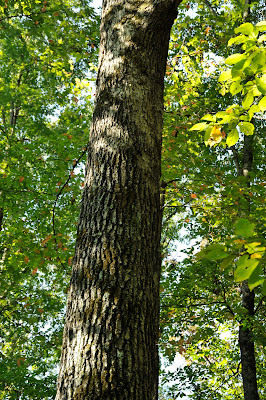 It is growing on an upland ridge in a stand of white oaks. 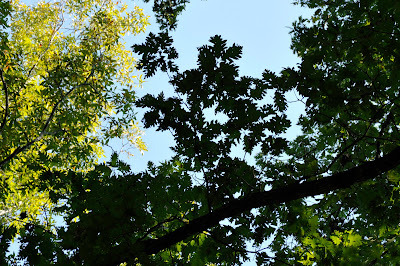 There is a stand of chestnut oaks nearby. The tree is about 24 inches in diameter. This is the same photo of an acorn and leaf that I posted earlier. The leaf is 10.5 cm long and about 5.5 cm wide at its widest point. The acorn is about 27 mm long and 20 mm in diameter. It may be a coincidence, but both of the acorns I picked up were attached to a second undeveloped acorn (visible just above the cap). 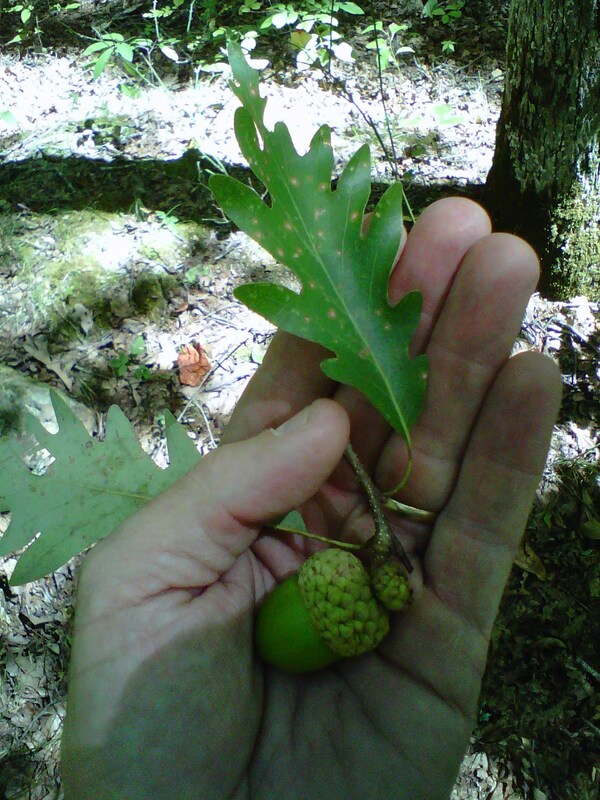 They are intermediate in size between a white oak acorn and a chestnut oak acorn. 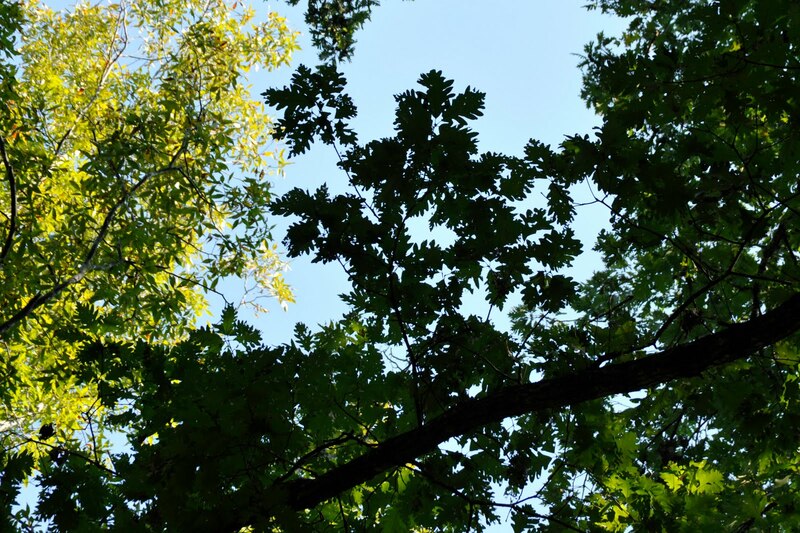 Here are what the leaves look like against the sky. When I first saw them through my binoculars, I thought that they looked like either very "shaggy" chestnut oak acorns, or very "regularly shaped" white oak acorns. 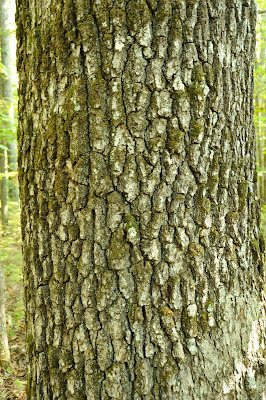 Here are a couple photos of the bark which clearly lacks the flaky appearance of a white oak - particularly at the point where the large limbs branch off. It is somewhat furrowed, but not as deeply as a chestnut oak. 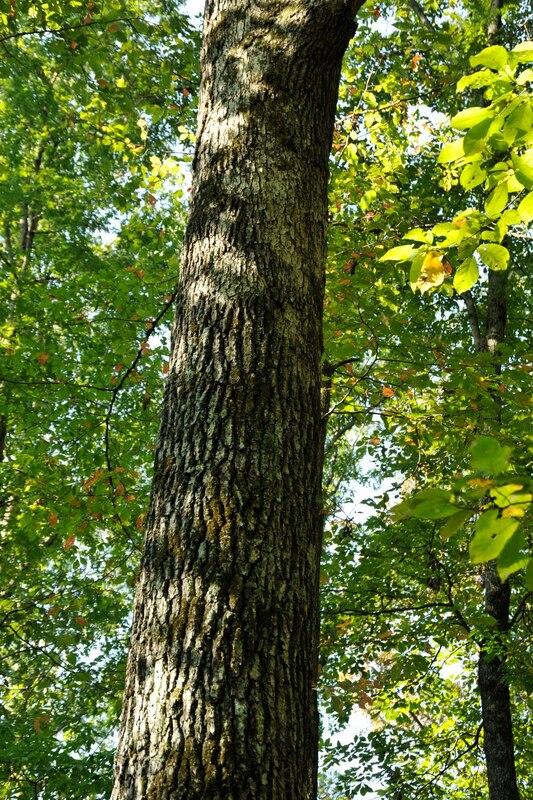 ﻿I will be checking this tree when it begins to drop acorns to see if it develops into a dominant tree (for any biologists or foresters who might be reading this, I'm not referring to the classic definition of a dominant tree that you would be accustomed to). Assuming that my identification is correct, I think it would be really neat to kill a mature buck under such a unique tree. 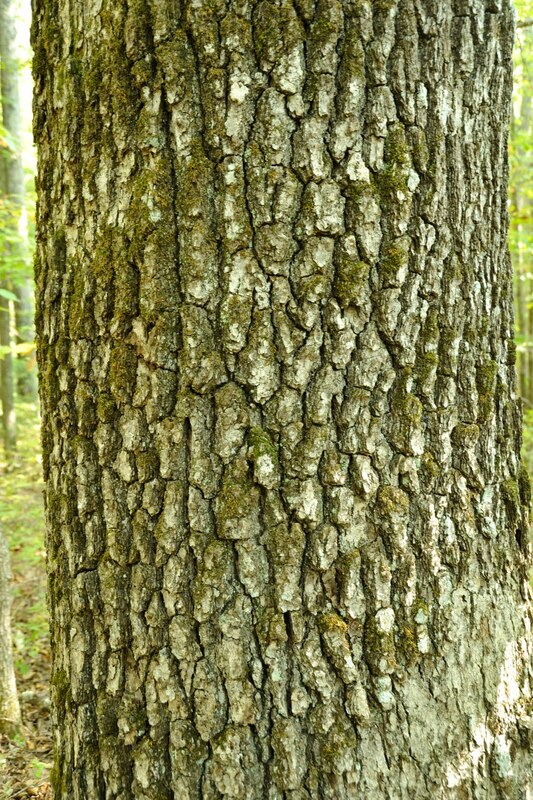 That is definitely the hybrid between white & chestnut oak. Good photos! I'd love to have some acorns from that tree.